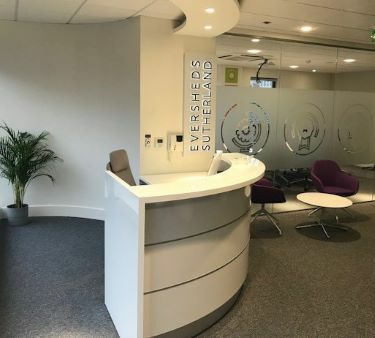 Eversheds Sutherland, one of the world’s leading legal providers, serves local and international clients in Northern Ireland through our Belfast office, located centrally on Donegall Square West. As the only global law practice providing the full range of legal services across the island of Ireland and the UK, we are in a unique position to assist business and public sector clients in Northern Ireland. Our team provides commercially-focussed and pragmatic legal advice of the highest standard. We recognise that the marketplace is changing, and we have analysed what is shaping the industries we serve. Our lawyers understand the sectors that clients operate in and seek to build genuine long-term relationships. Strategic and commercial thinking adds real value to the first class legal expertise that we provide. We develop innovative solutions to the most pressing challenges, helping clients to save time and money, manage risks and open up new opportunities. It is an approach that makes Eversheds Sutherland such a distinctive and innovative force in the legal world. To download a copy of our Belfast team's contact card click here. We rank in the top 10 in UK listings and top 40 in U.S. global listings. We have offices across the UK, Europe, United States, Middle East, Africa and Asia – providing a seamless, consistent service for clients across the globe. Our award–winning teams act for the public and private sector on many complex deals and projects across all major sectors. We are pioneers in flexible working, dispute management, project management and online services. We were nominated for the Northern Ireland Firm of the Year Legal 500 award. Belfast Central station is 10 minutes walk to Eversheds Sutherland's office. Eversheds Sutherland's office is served by Belfast City Airport (15 mins drive) and Belfast lnternational Airport (45 minutes drive). If you have any particular requirements, please contact our receptionist.